The beauty of simplicity shows well on this cozy little porch, with clean lines & matching roof style – it blends perfectly into the house’s original architecture & adds almost year-round usable space. Enjoy a quiet breakfast outside or watch the flames in the fireplace dance late into the night. 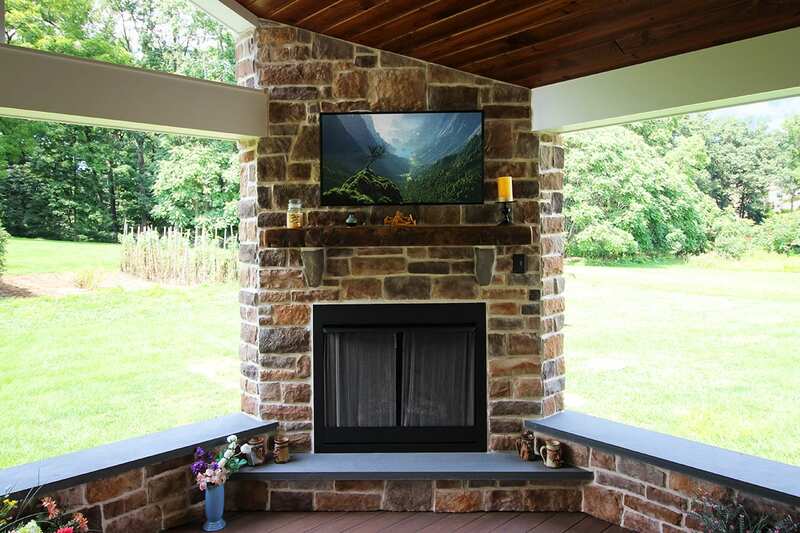 The rich colors of the ceiling & fireplace mantle compliment the natural colors of the stonework so well, while the white porch beams help to balance the space out. Overall this is a perfect space for the family to enjoy time after time.